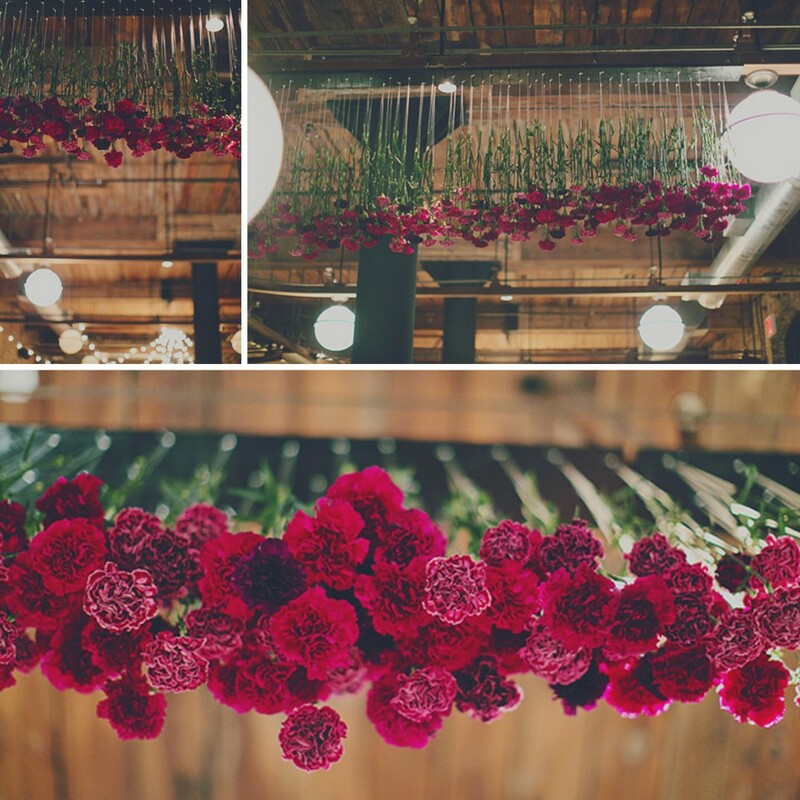 Hanging displays and installments are big in the wedding world right now, so when I came across this Hanging Carnation Display I knew I had to share it with our readers! I feel like it would be pretty easy to DIY too, especially on a smaller scale, and it would look great hanging over the wedding party table, a cake table, an entrance or just an empty area. Special Thanks to Jacquelyne Mae Photography for the images. Need flowers to re-create this look? Check out our huge selection of ruffled Carnations at FiftyFlowers.com!